What Should You Throw Out? Clothes. We’ve all been there before. We’ve bought clothes that we thought we’d fit into one day, but that day has yet to come. There are also those clothes that don’t fit anymore, or that you wear but don’t inspire confidence in you. Now is the time: close your eyes (and count to three if it makes you feel better), and toss them onto the reject pile. We guarantee you’ll feel better. Books. Bookworms everywhere that have overflowing bookshelves must do a thorough clear-out. Find those books you’ve read but didn’t really enjoy. When you accumulate a lot of books, they get heavy, so lessen your load and add them to the reject pile. Keep in mind that you can always buy books at your new location. Mugs. If you’ve found that they have taken over your cupboards, stop the invasion and get rid of the mugs that are chipped or don’t use. Beauty products. This is the same situation as we mentioned above with your clothes. Don’t keep make-up you don’t feel confident wearing or that you’ve stored for over a decade! Promotional items. If you’ve gone to job fairs and other events, you may have picked up promotional merchandise, like travel mugs with a company’s logo, brochures, or business cards. Sift through the items that are of no practical use to you. What Do You Do with the Reject Piles? Recycle or Reuse. It’s important to do your part for the environment. If you’re getting rid of personal information, like receipts, shred them before recycling. You may have found half-used notebooks, so instead of recycling the whole book, tear out the used papers and keep the rest for another day. Sell. You can sell your books to second-hand stores to make a small profit. Donate. Group all your clothes into bags and bring them to your local charity or charity bin. Donate the books you couldn’t sell to a religious place of worship; they’ll sell them at their bazaars. If you’re getting rid of items that you know a friend or family member wants, give the items to them. At King’s Transfer Van Lines, we understand that you need to have a clear mind to focus on the important things when your move. We do more than provide residential, commercial, and international moving services; we participate in the Move for Hunger program where we pack your unwanted non-perishable food items and bring them to a local food bank. 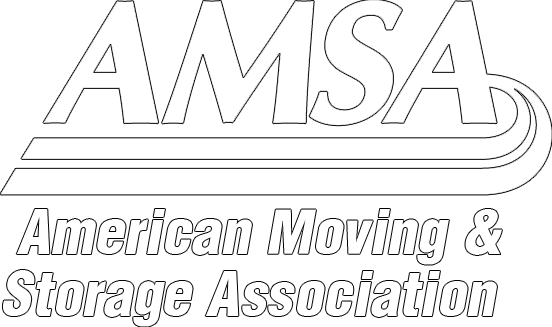 Call us today at 1-800-267-2957 for how we can help you during your next move, or fill out our online form.